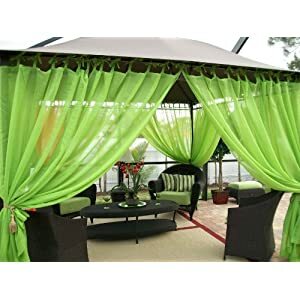 Last week when I posted about the Things I love for the Summer Season, I put it out there that I would help some of you out with your outdoor spaces if you wanted some ideas. Well two lovely ladies asked for my help and here is how it went down. Hi Jen! I don’t have pictures right now, but I do have a question. I have a shared driveway with my neighbor. This means our backyards are open to one another. We can’t close off our yard without blocking use of the driveway. He is a single guy who works a lot and his yard is… well not the nicest to look at. Any ideas on how to make our space more private and closed off so I don’t have to look at his yard every time I am in mine? Thanks! Maxine, that is a great question. 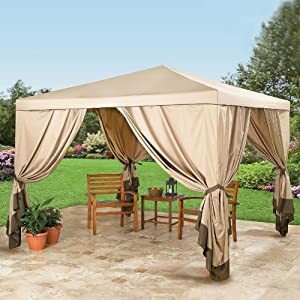 The first thing that comes to my mind is if you have or if you can fit a gazebo in your yard, I would put up some sheers on the gazebo and keep them closed on that one side of your yard. This way you have some privacy and you will not really “see” the not so kept neighbors backyard. Let’s look at some options for your yard. I absolutely love this idea. OK, you might not like Lime Green, but they have different colors. 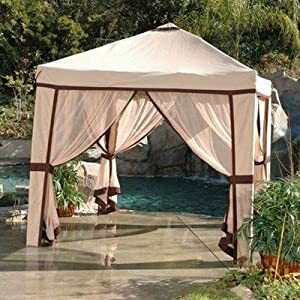 It just ties onto your gazebo. You could leave one side down that looks towards the neighbors yard and you won’t see as much of their yard. Let’s look at a few other colors and options. 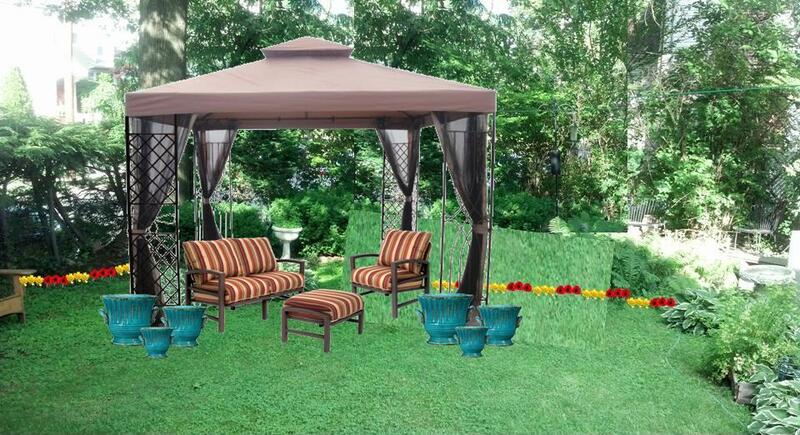 Or you could buy a gazebo like this that comes with solid panel sides and mosquito netting also. You could drop just one side of the solid panel and then you would have full privacy on that driveway side. Oh my gosh, check out this cute Cabana. Love it. This one is 8.5 x 8.5 x8 feet. It’s kind of small. Sorry I’m not sure of the size of your area. 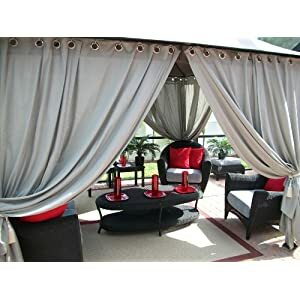 I can see some pretty tropical plants in nice planters around this cabana and all of this would distract from your neighbors property for sure. Another great idea are “privacy planters”. I have these in our yard, but we use them to hide things in our yard like our gas meter. We weighed ours down with rocks on the bottom and then soil on top so that they don’t blow over. 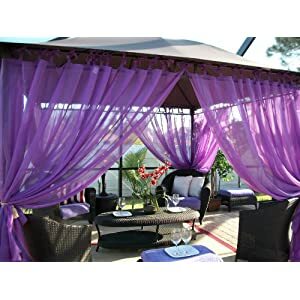 When you get the chance, I would still love to see pictures of your outdoor space Maxine and see if we can come up with anything else to help you out. I hope one of these ideas will work in your space. 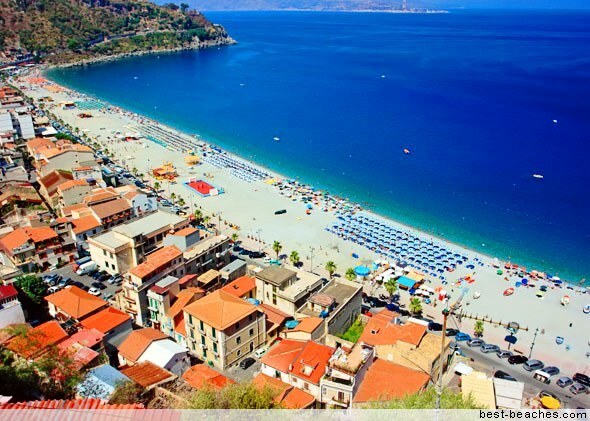 Have a great summer!!! Then Susan sent me an email with lots of pictures of her front and backyard and she wishes just for a little help to make her property look a little nicer. 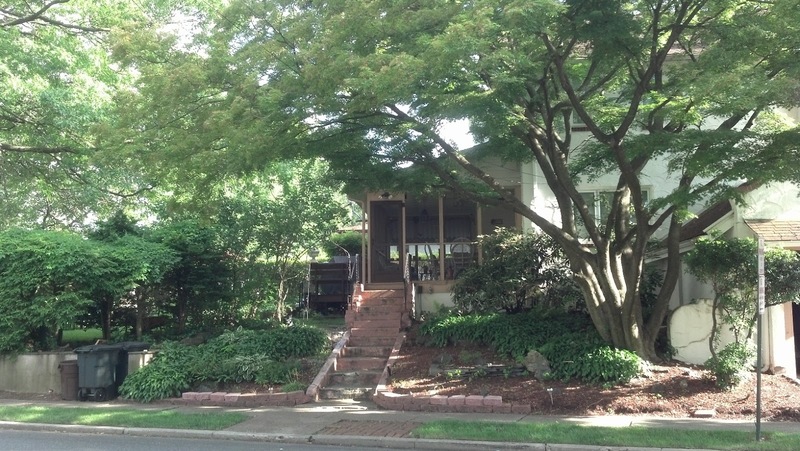 It’s a well kept property, but it just needs a little pop of color and maybe some new paint. Seriously Susan, you have a great backyard to hang out in and entertain in. Let’s take a look at the pictures Susan sent me. Isn’t it a cute house? Nice private backyard for sure. 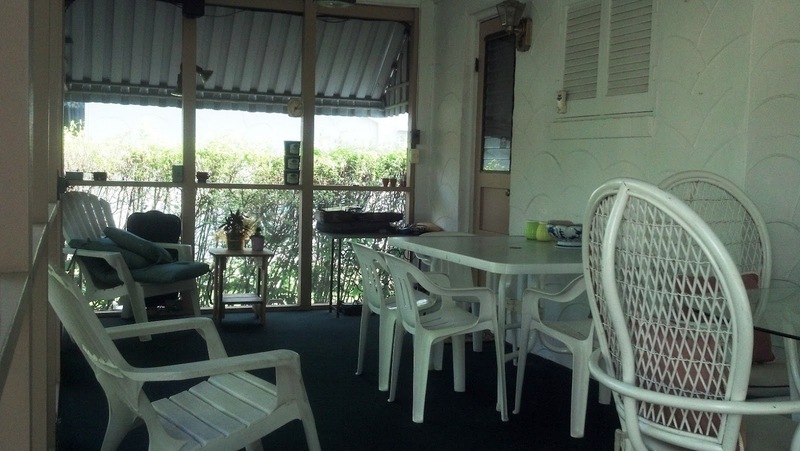 Love the enclosed porch as well. Let’s see what we can do with all of this now. It doesn’t have to cost you a lot of money no matter how big or small your property is. Adding a little color can go a long way. You don’t have to completely start over again. Sometimes you just need to take some stuff away or add some other things or even just paint something to make your space look new to you and some place that you will enjoy coming to time after time. 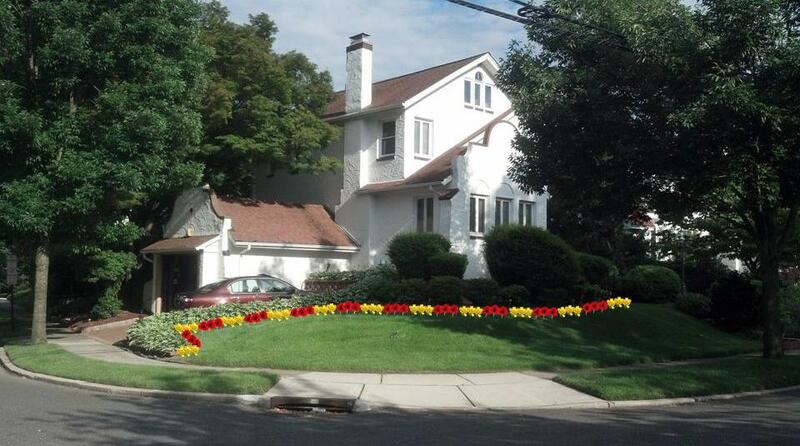 I just added some yellow & red clip art flowers to the pictures to show Susan what a little color can do for the front yard. I love it. I hope Susan loves it too. Susan I think if you repainted the stairs in a dark grey and paint the screened in porches trim, inside and outside in a light grey, it would give a whole new look to that area of your home. I would paint the outer screen doors the same grey as the trim and then paint your inner door to your home the same gray. I love how grey looks with the terracotta bricks and the roofing on your home. You could even paint the black wrought iron rails white to go with the house color. Add some more of the yellow and red flowers next to the stairs on each side and it would really brighten this area up. 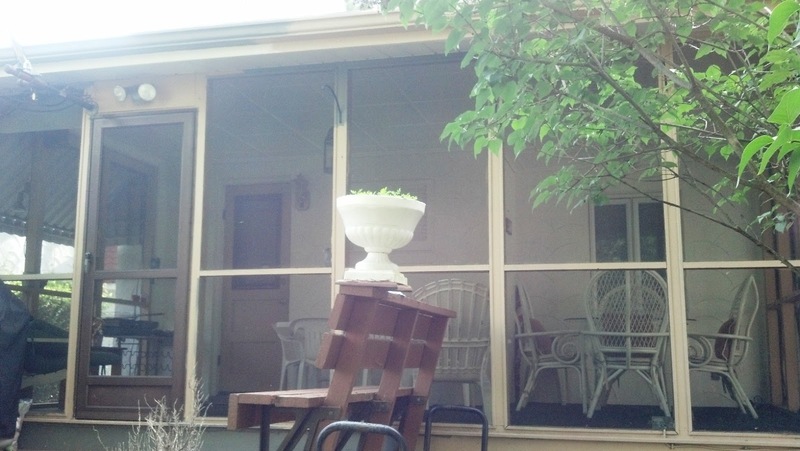 I love screened in porches. If you would like my two cents about it, I would move the wrought iron table and chair set in there and only keep the two white Adirondack chairs. Place the wrought iron set where you have the two tables and then the Adirondack chairs to the left of your inner house door. Put down a colorful indoor/outdoor rug under the table, add some decor and even a potted plant or two inside and it would feel so comfortable and casual. Add some pops of Turquoise to the area inside and out. And if you want to take it one step further, I would paint the outdoor bench a darker grey then the trim on the porch, to bring everything together. 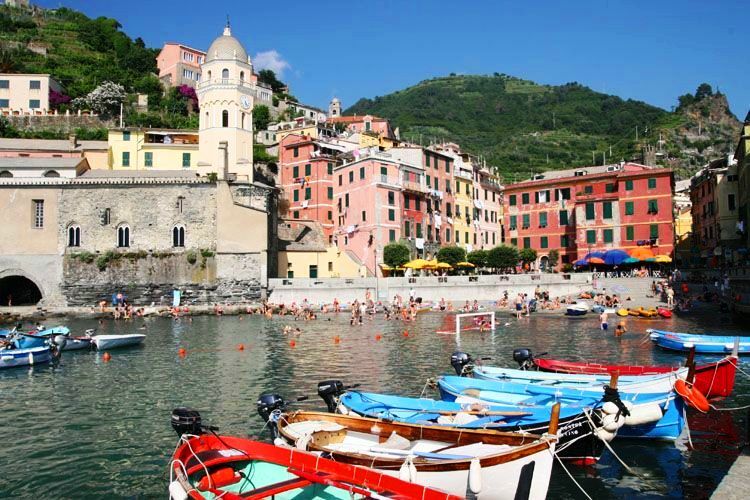 Where I got my inspiration from…I did a Google search for Italy because you said you had Italian influences inside your home. You seem like a tradition type of person, so I wanted to bring the inside of your home outside too. You can use these colors in darker saturation if you like that better. In this picture I loved that all of the backdrop that was in green just like your backyard, but look how this yard came to life with some color. 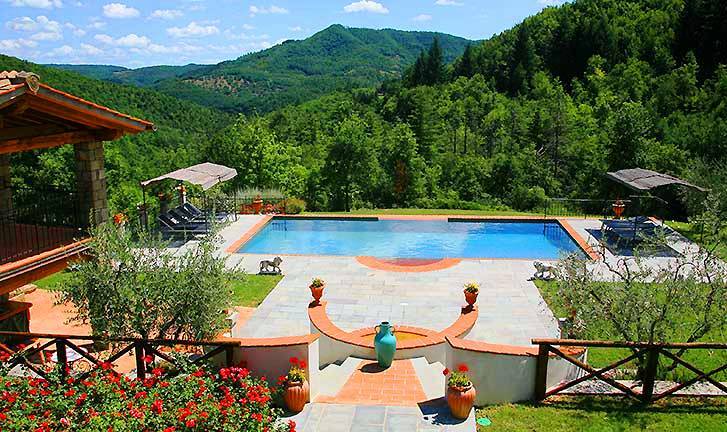 Terracotta, Turquoise, Red, little bit of Yellow in some plants, Blue and the Grey of the pavers around the pool. 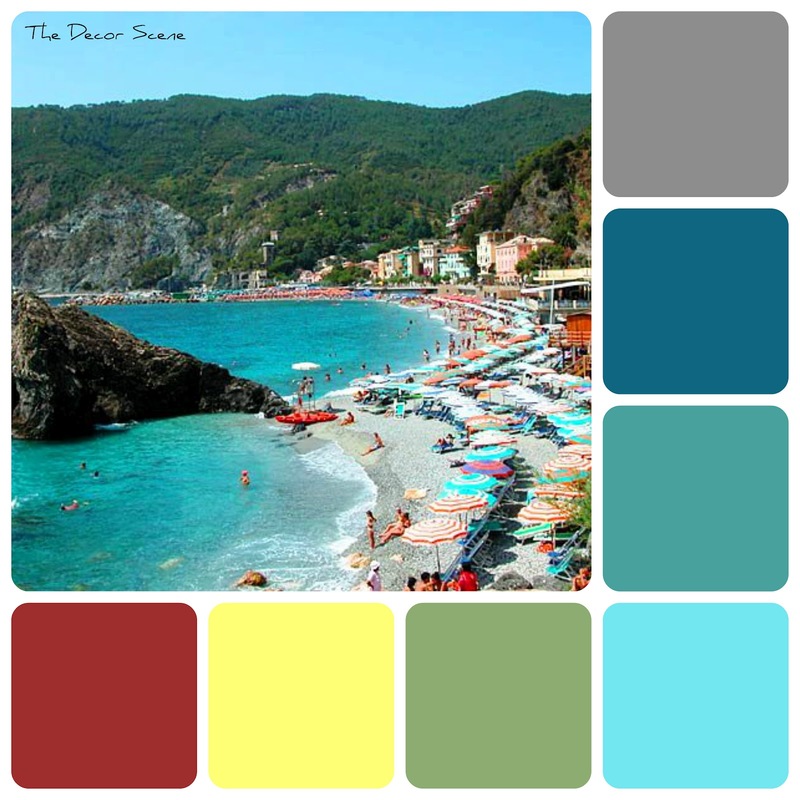 I really love how all of these colors work so well together in all of these inspiration pictures. 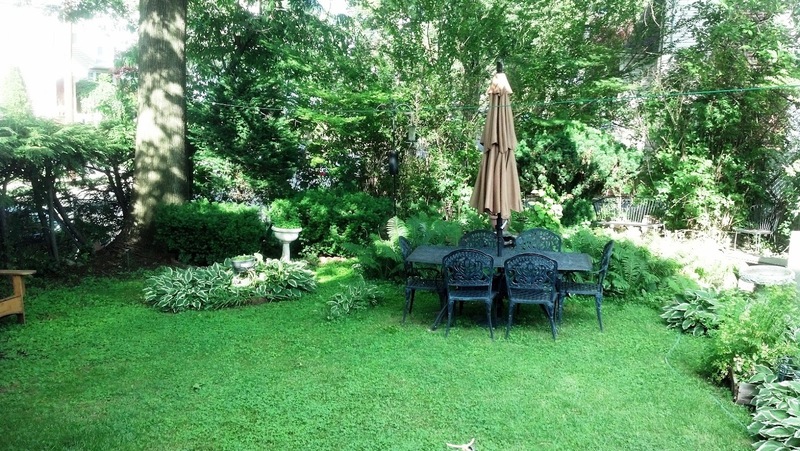 I hope I have given you a different look at your outdoor spaces. If you have any questions, please let me know, because I would love to talk more if you have the time. So what does everyone think about the ideas that I gave Maxine & Susan? Love them? Does anyone have these same problems in their yards? 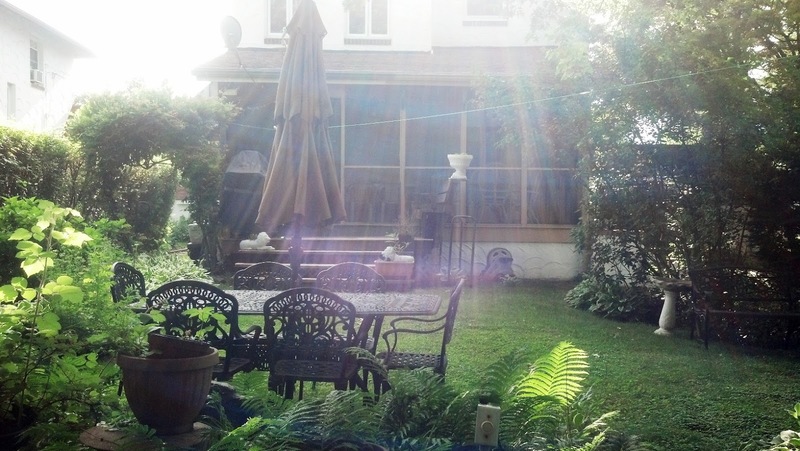 What did you do in your outdoor space to make some changes? So if anyone else would still like some help with their property, please leave a comment or send me an email at thedecorscene@gmail.com. Hopefully I will have some pictures for you soon! OMG I love these photos!